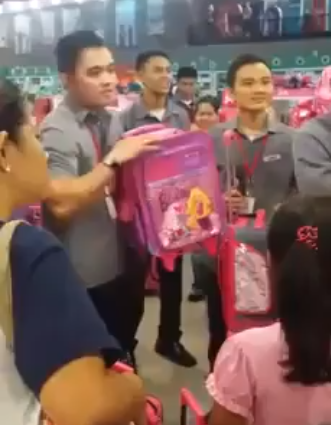 This example is not like what I experienced because this video is not Toy Kingdom, however, having seen this post on Facebook proves what sales representatives are doing nowadays to make that sale no matter what — even to the detriment of the customer — they will continue doing it and it should stop. This is my story and it happened in Toy Kingdom. It was Wednesday, 28th May when I ventured in SM Megamall’s Toy Kingdom in Building A or the one that is right across the Fastfood Area at the basement level. The toy I’m holding has no value and the impression he gave me is that I don’t — in effect — value my son’s happiness because of a 300 peso toy train. What a father am I huh? I obliged to see what wants to show me and showed this colorful toy train that is structured like a roller coaster. Nice indeed but it’s not within my budget but now how can I go back to the train I still want to give my son that he already labeled, “Walang kuwenta!” I’m almost embarrassed to move or to even pick up the box I want. I ended up leaving the store without the toy for my kid. Toy Kingdom Megamall is beautiful but the sales tactics of representatives who want to make a sale…boy, that’s UGLY! Change that please. I don’t mean to single out Toy Kingdom because you can see from the video that this kind of up-selling strategy is demeaning and provocative that will not bring out the value of what they’re selling.